In close cooperation with its partners World Sailing and Virtual Regatta. 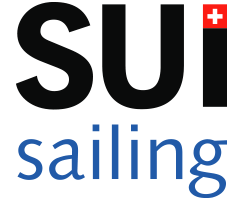 The Swiss eSailing Championship is played on the same platform as the World eSailing Championship. When registering for one, you register automatically for the other by indicating «Switzerland» as your nationality. Players in the Swiss championship must be Swiss citizens in order to qualify for the Swiss Champion’s title. The Swiss Championship is launched April 1st, 2019. However when you registered before as «Swiss» national to the World Championship your registration includes the Swiss Championship automatically and all events played are counting. You need to play the whole season up to August 7, 2019 when the top ranked 12 Swiss players are invited to the Live Final Event in Brunnen SZ. Invited players must be present in person to win the final podium places! The top Swiss players qualify for the World Championship playoffs, for details see esailing-wc.com. All information on this webpage is subject to change without notice. When registering for the World and / or Swiss eSailing Championship players acknowledge the parties’ rights for publishing names, nicknames, nationality and ranking in any manner whatsoever, including internet, printed matters, social media etc. 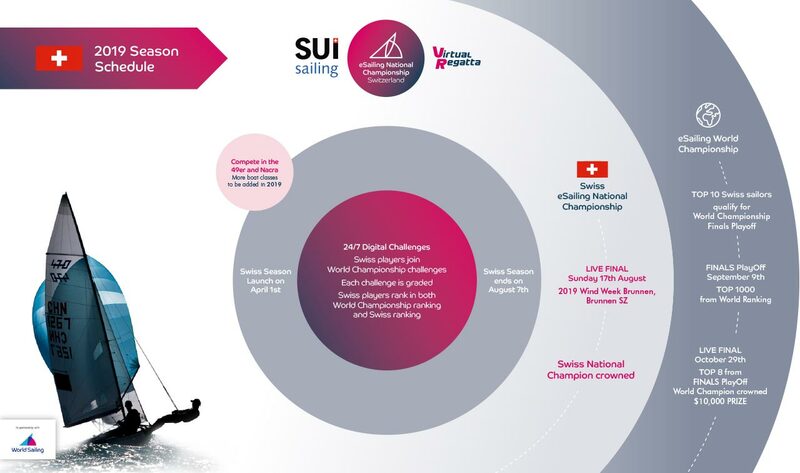 The players acknowledge the organizers’ (Swiss Sailing and its partners) rights on pictures, video material, audio statements and the like produced on live events. The organizers are free to publish such material at their own discretion and in any media whatsoever of their choice. For technical queries about the eSailing World Championship game, contact the Virtual Regatta Inshore Help Center.